KINGSPORT, TN – The Kingsport Aquatic Center is preparing for fall and winter swimming season, bringing opportunities for new careers. 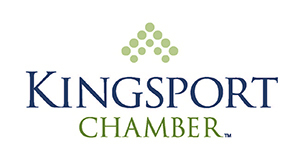 The Kingsport Aquatic Center is hiring lifeguards, swim lesson instructors, aquatic attendants and gate workers for the indoor facility, which is operational throughout the year. The American Red Cross Lifeguard Training with CPR/AED for the Professional Rescuer will take place September 7th – 9th and September 14th – 16th. The course will run Friday night from 4 p.m. – 9 p.m., Saturday from 11 a.m. - 6 p.m. and Sunday from 9 a.m. – 6 p.m. The cost is $200 for non-members and $175 for members. With successful completion of this course participants can apply to become a lifeguard at the Kingsport Aquatic Center.